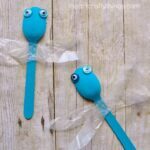 Learning about insects and making insect crafts is one of my favorite things to do with my kids in spring. With all of the plants coming back to life and flowers blooming it’s a perfect time to sit and observe all the insects in your flower gardens with your children and then have some fun making insect crafts. 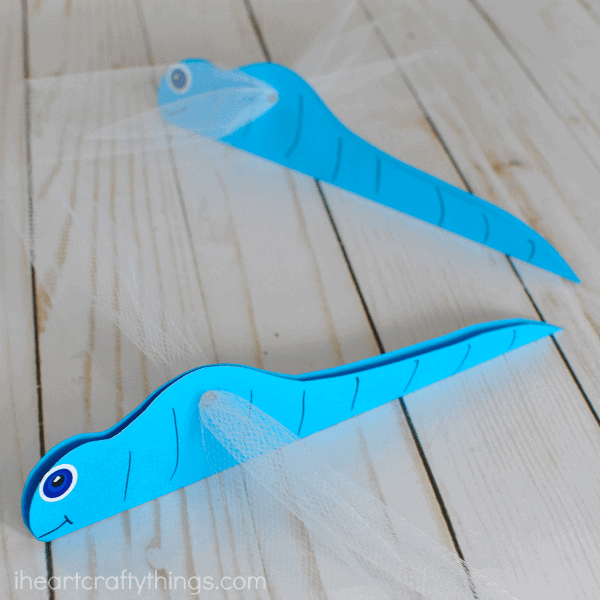 This paper dragonfly craft is super simple to create and the kids will have a blast flying it around the house all afternoon. 1. Print off the dragonfly pattern and cut it out. You will only need one half of your turquoise cardstock for each dragonfly so cut your paper in half and set aside the other piece for later. 2. Fold your half section of your turquoise cardstock in half. Lay your dragonfly pattern onto the folded paper with the fold at the bottom of the template, and trace the pattern onto your cardstock. Cut out your dragonfly. 3. Punch a hole at the top of your dragonfly to insert the wings. 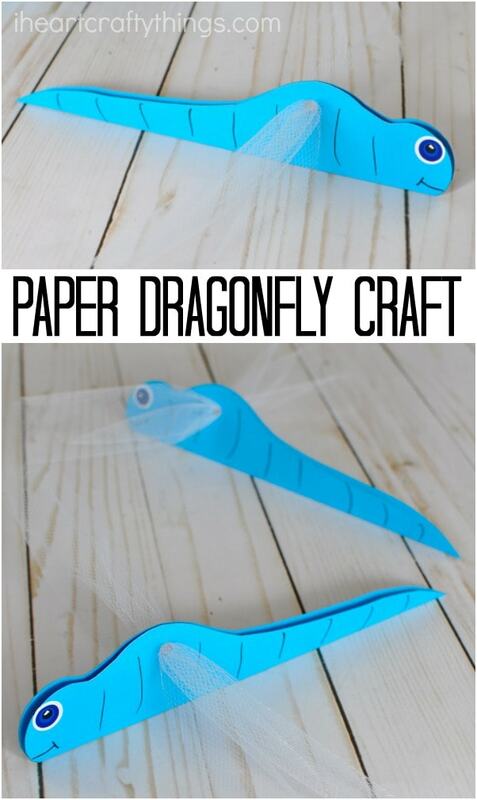 Place a sticker googly eye onto your paper dragonfly craft. Then use your black marker to draw lines and a smile on your dragonfly. 4. Cut off a section of white tulle for the wings. Poke it through the holes at the top of your paper dragonfly craft. Trim the wings to the length you desire. The double layer of cardstock helps keep the wings in place without any glue needed. So simple right?! Now you can pick up your paper dragonfly craft and have fun flying it around the house. 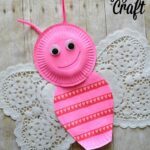 Looking for more awesome insect crafts for spring crafting? You’ll love this shimmery dragonfly craft and our paper bowl ladybugs. 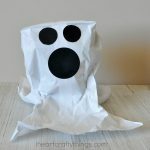 Don’t forget to check out our easy DIY bee puppets too! i want to have more activitys for little kids (2_3 Years) . I am nursery!